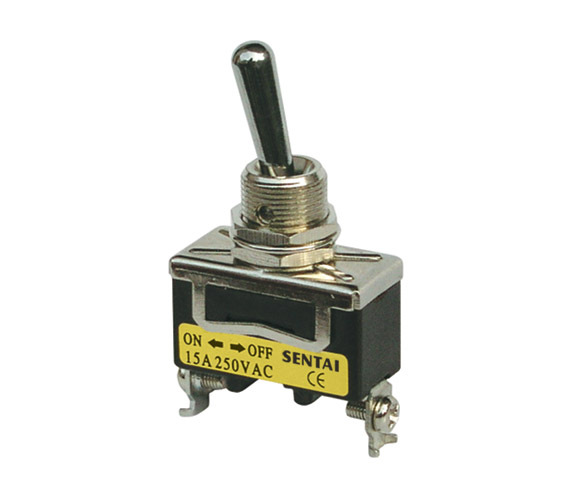 A toggle switch is a class of electrical switches that are actuated by a mechanical lever, handle, or rocking mechanism. 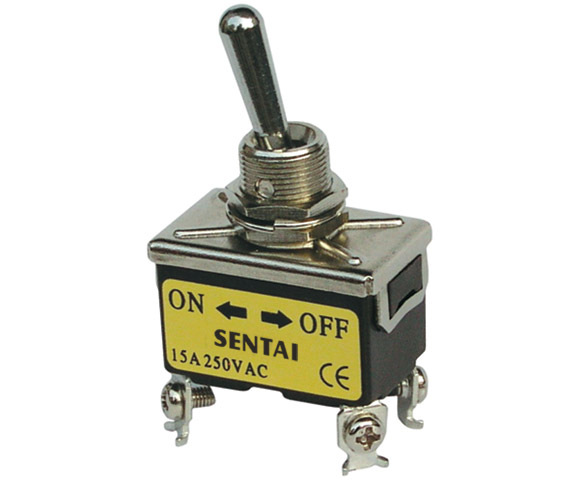 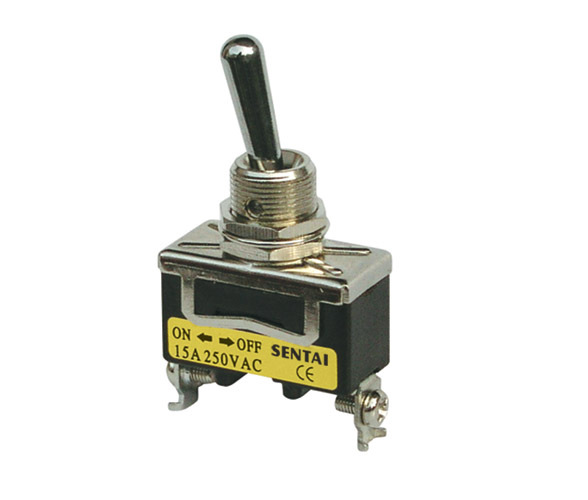 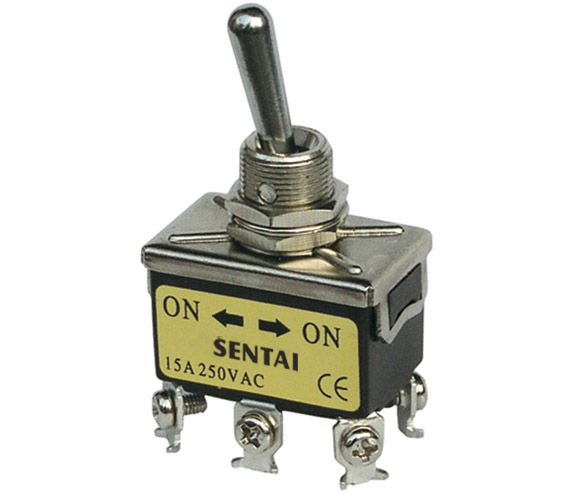 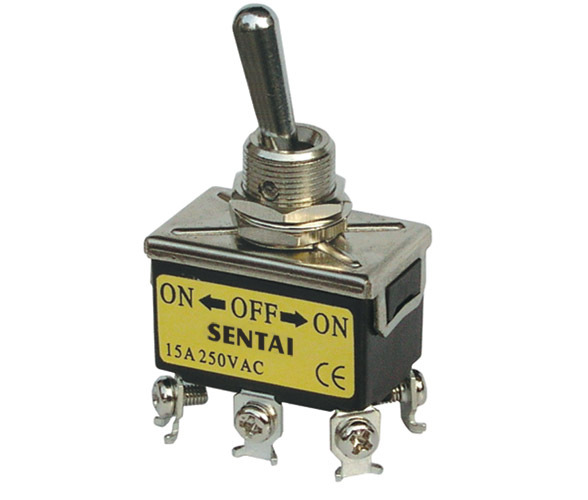 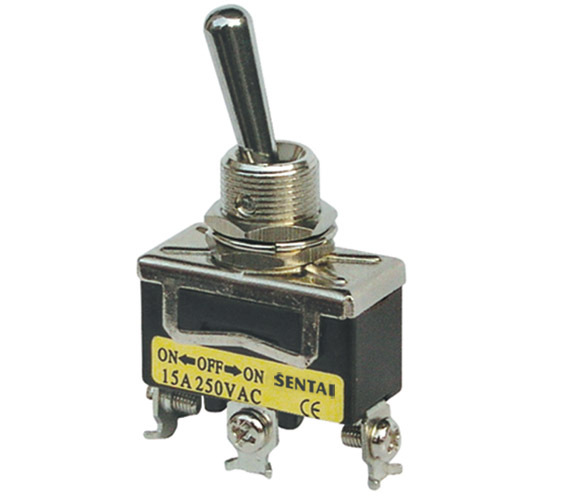 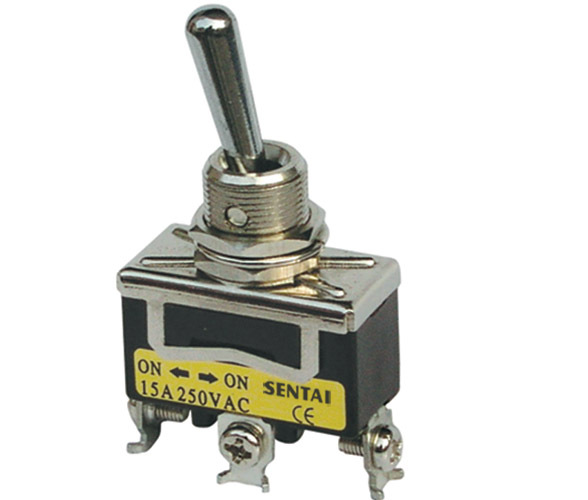 Toggle switches are available in many different styles and sizes, and are used in countless applications. 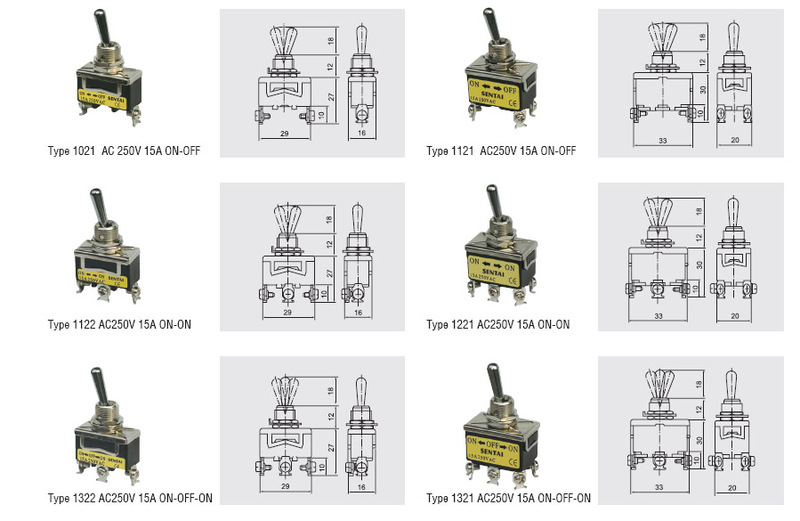 Many are designed to provide, e.g., the simultaneous actuation of multiple sets of electrical contacts, or the control of large amounts of electric current or mains voltages.